In Mexico, neighbors gather, often at the cemetery to share food, music, and memories of deceased loved ones with the community. Day of the dead is celebrated November 1st and 2nd and coincides with the Catholic holidays of All Saints’ Day and All Souls’ Day. 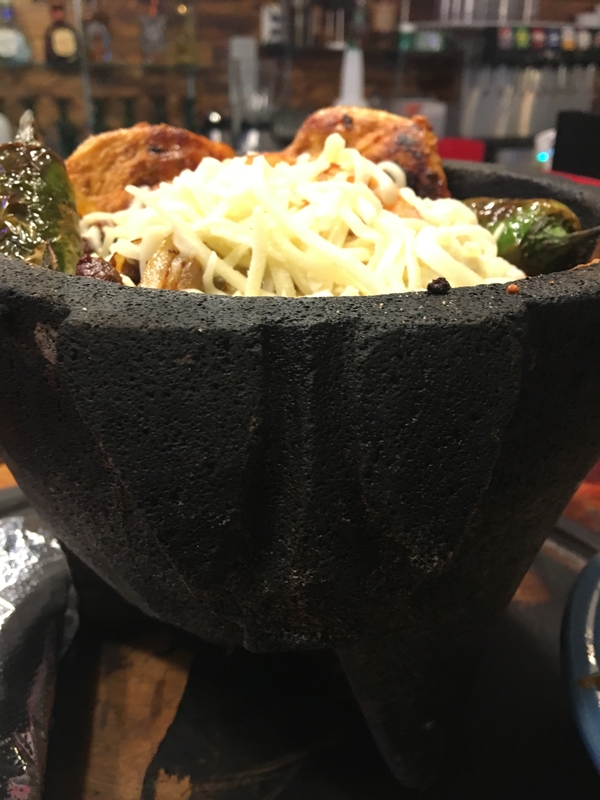 It is one of Mexico’s most distinguishing holidays that observes a day of cheerful celebration instead of one of mourning and recognizes the relationships with our loved ones that have passed away. Altars, are built in the honor of loved ones that include photos, food they enjoyed, activities they participated in, and other special items. 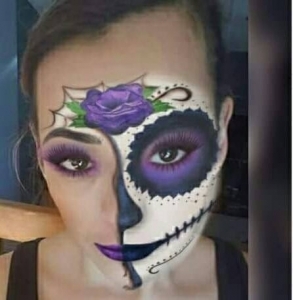 Many people in Mexico wear traditional skull masks and the tradition of painting faces to look like skulls is also very popular. Skull face painting is a chance to overcome the fear of death and celebrate life! Here is one of our sisters with a simple design. 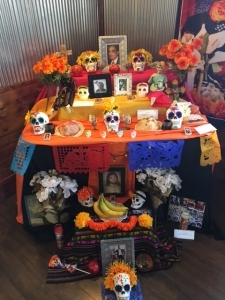 Keeping with that spirit, Don Emiliano’s has partnered with Latinos en Axión STL to exhibit an altar, or ofrenda. We would like to extend special thanks to M. Leticia Seitz, the executive director, for all of her efforts in the display. Stop in and check out our ofrenda! 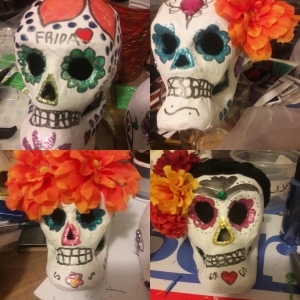 Here is a sneak peek at some of the skulls Leticia decorated for the display. 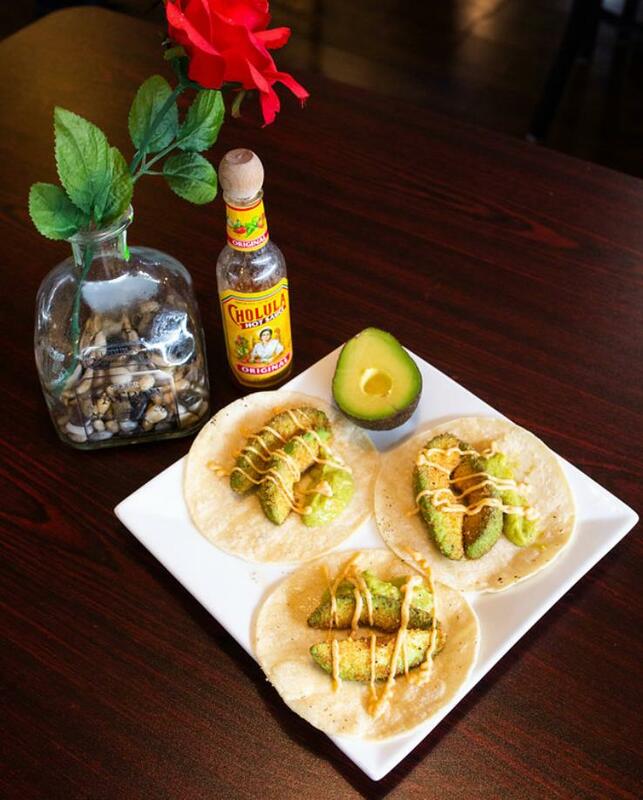 Vegan Night is bursting with flavors! 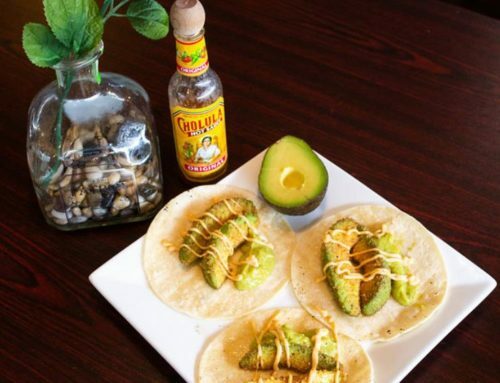 CINCO DE MAYO What’s all the fuss about? 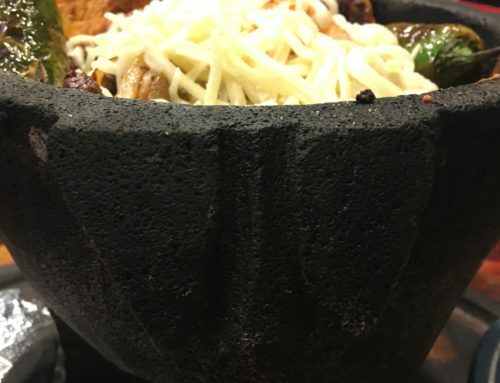 Serving up Family Favorites and Fun in O’Fallon, MO!